Cliff has lived and worked in New England and the Boston area for 37 years and loves to discover and share places and things to do. This is a carefully compiled list of free things to do while you're visiting Boston. It's been designed to skim and browse to your heart's content so that you can dip into the activities that intrigue you most. Read on to discover the city's best museums, tours, events, entertainment, places to eat and lots more—all with one low entrance price: $0. Now make no mistake—this isn't a list of second-rate destinations out in the suburbs where the buses don't run. 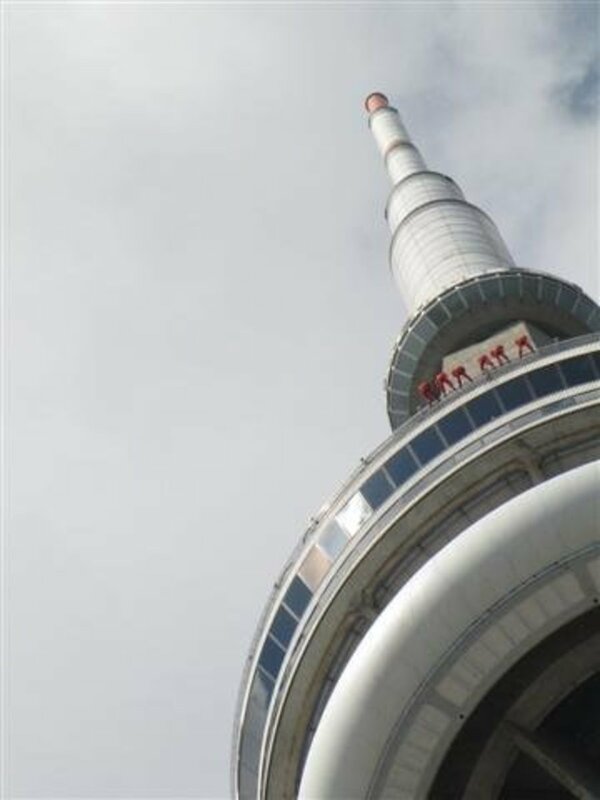 These are major tourist attractions, most of which are in the downtown area and within easy walking distance of hotels and subway stops. I worked in the city for 18 years and know a thing or two about the sights. 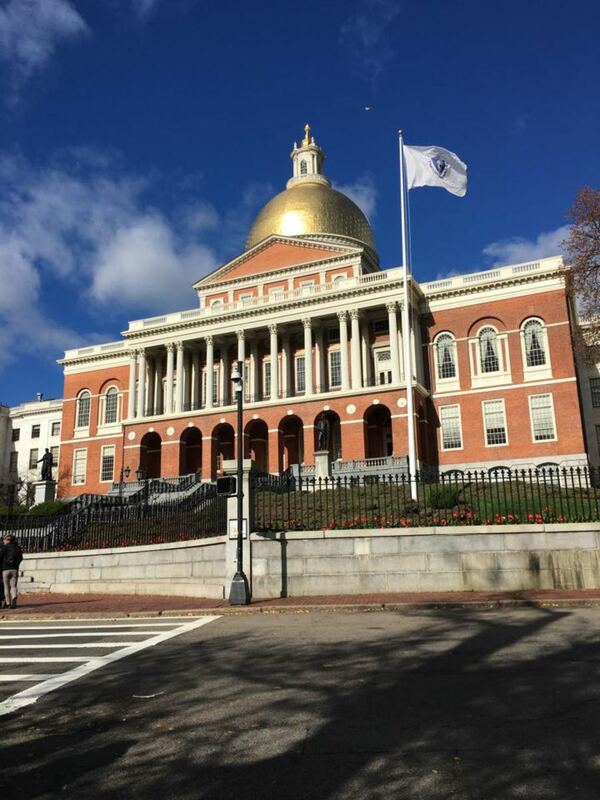 I started this list a number of years ago when my children were growing up, and frankly, I grew tired of taking out a bank loan every time we visited Beantown. That's when I realized there were many exciting things to do in Boston without having to spend a dime. Though you only see 21 items here, there are over 50 activities listed in this article! Continue scrolling to discover them all. If you're a newbie to Boston, you may want to read the following quick history and watch the video below, as it shows many of the places listed here. (Bonus: the narrator has a Bostonian accent.) I'll keep it brief and try not to sound too encyclopedic (and that's the biggest word you'll find here). The city of Boston has a population of about 600,000 and was founded in 1630 by Puritans from England who named their town after Boston, Lincolnshire, in England. You can expect to find many places in New England named after towns in England that people left behind, such as Manchester, Plymouth, Portsmouth and Worcester. Much of the city today is built on reclaimed land from the sea and surrounding marshes. Situated at the mouth of the Charles River as it enters Massachusetts Bay, Boston played a key role in the Revolutionary War and was a major seaport and trade center in the early years of America's history. The city brims with historic buildings sandwiched between skyscrapers, parks and chic shops. It may make for an odd sight at times, but it provides a unique and satisfying blend of old and new architectural styles. 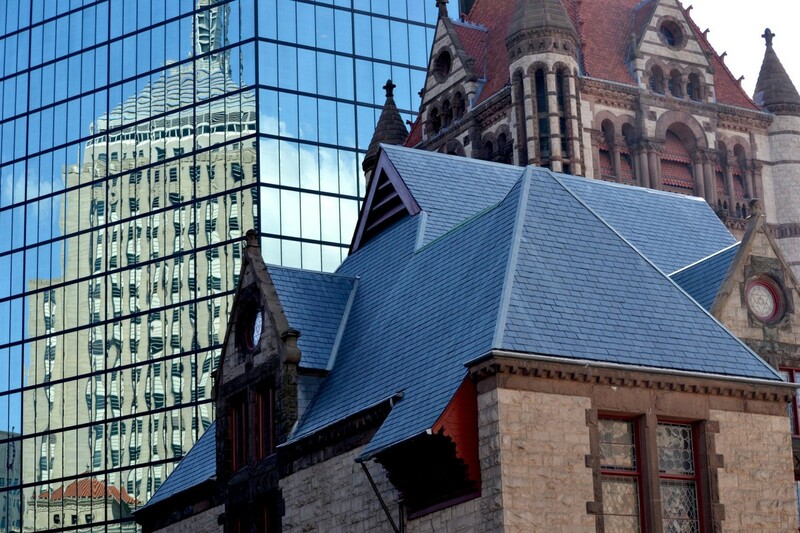 A lot of people's money and time has gone into preserving Boston's rich history and heritage for you to enjoy. Luckily, all it will cost you to experience it is a little of your shoe leather. When it comes to a city in America to visit for historical significance, it's hard to beat Boston. It's practically impossible to walk a few steps there without stumbling over some colonial or revolutionary landmark. These trails and locations will help you discover the rich history of the city and its past residents, allowing you to sneak in an educational experience while having fun as well. Sound like a good deal? You can pick up a free map at the visitor's center on Boston Common or print one out online. Allow at least 2–3 hours to walk the trail, though if possible, I recommend taking a full day to visit all the sites. 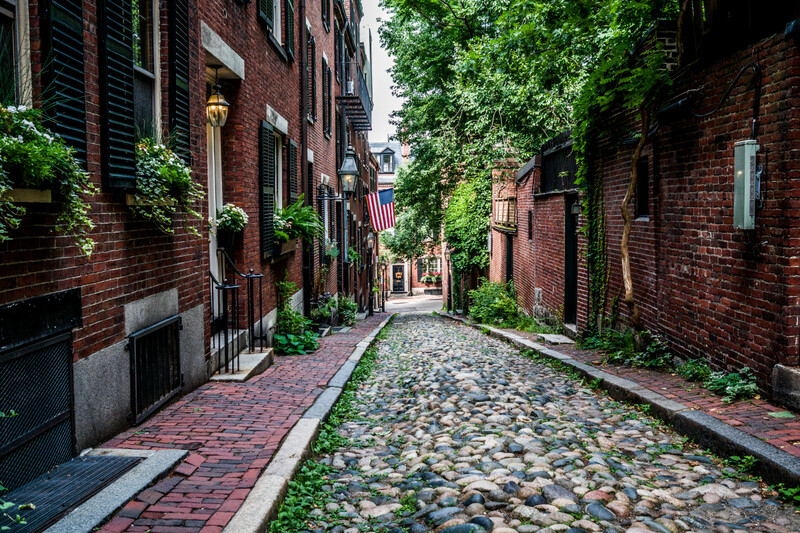 Beacon Hill is a distinctive Boston neighborhood with alleys, walled gardens and narrow, cobbled streets lined with original gas lights. These features alone make the area a delight to walk in, but the historic Black Heritage Trail makes a stroll through Beacon Hill even more fascinating. The trail consists of 14 sites beginning at the Robert Gould Shaw Memorial in front of the State House and winding through the hill around memorable Louisburg Square, Charles Street and Phillips Street before ending at the African Meeting House. Free maps are available at the Abiel Smith School. Ranger-guided tours are also free and run Monday–Saturday. Since colonial times, Boston has had a thriving Irish population which has shaped the art and political traditions of the city. If you have a tinge of Irish—and let's face it; most of us do, especially as March 17th approaches each year—then take this 3-mile self-guided walking tour through Boston's downtown, North End, Beacon Hill and Back Bay neighborhoods. There are about 16 sites marked on the tour map that you can easily walk to, and an additional 6 sites are located in Charlestown, East Boston and Dorchester, which you'll need a car or public transportation to view. Many of the sites are memorials and plaques that commemorate great sons and daughters or major events, with some parks and gardens sprinkled along the way. The Heritage website provides maps and details about each site so you can plan a visit and even combine it with the other free walking tours already discussed. The Battle of Bunker Hill took place on June 17, 1775, and is mostly remembered because of the legendary command, "Don't fire until you see the whites of their eyes!" 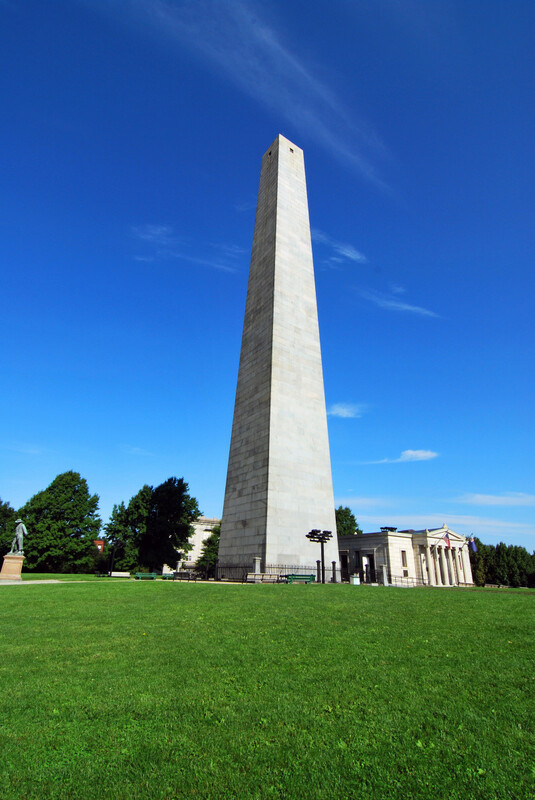 While the American forces were eventually overwhelmed and retreated after three assaults, the site is commemorated by the 221-foot granite obelisk and is marked as the first major battle of the Revolutionary War. The area surrounding the monument is a park with a museum, and you can climb the stairs all the way to the top. The monument is open 9:00 am–5:00 pm. See the park website for more information. Old North Church is in Boston's famed North End neighborhood, an area known more for Italian restaurants and pastry shops than for one of the most significant events leading to the Revolutionary War. From the steeple of the church, Robert Newman held up two lanterns as a signal from Paul Revere that the British were marching to Lexington and Concord by sea and not land. Though the steeple itself has been replaced twice since the lanterns were lit—both times because of storms, not fighting—it still makes for a stirring patriotic sight. Update: In June 2018, the Old North Church introduced a general admission fee of $8. This vessel was built in Boston and launched in 1797 to provide protection for American ships sailing the North African coast. "Old Ironsides" saw her most memorable action in the War of 1812 when she defeated the H.M.S. Guerriere in the 35-minute battle that made the United States into a naval superpower. 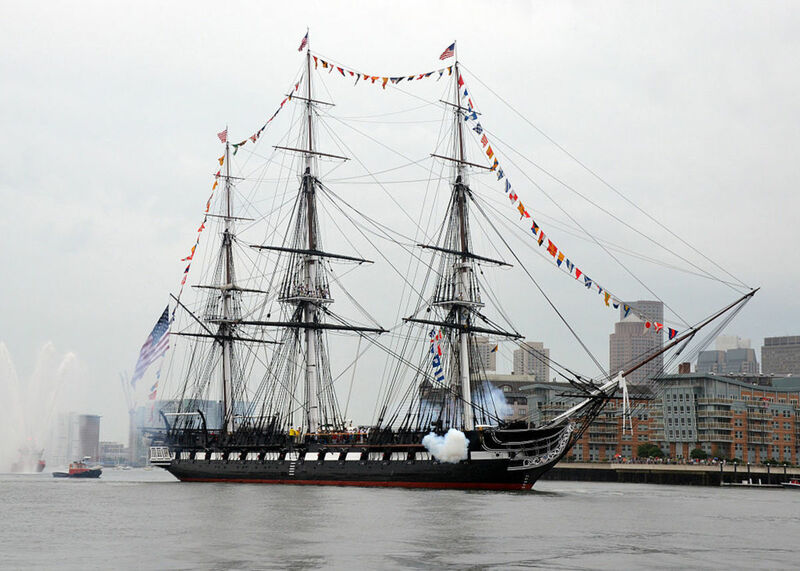 Today, this historical ship is permanently docked at the Charlestown Navy Yard and offers free tours every 30 minutes. 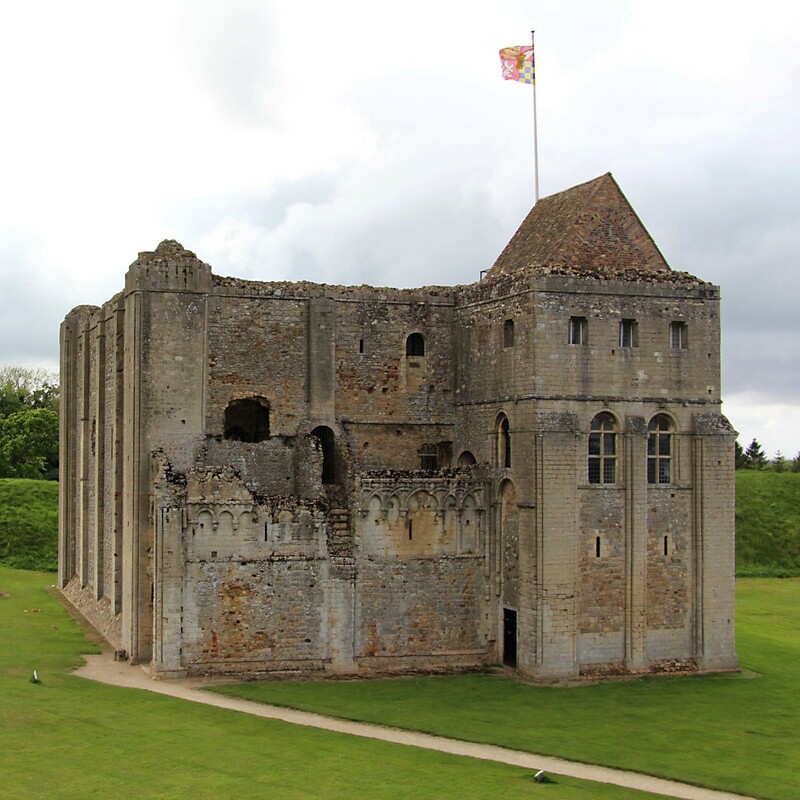 Some buildings and places are so immense or significant that having a knowledgeable guide can really help you to appreciate them fully, and the sites on this list definitely fall into that category. 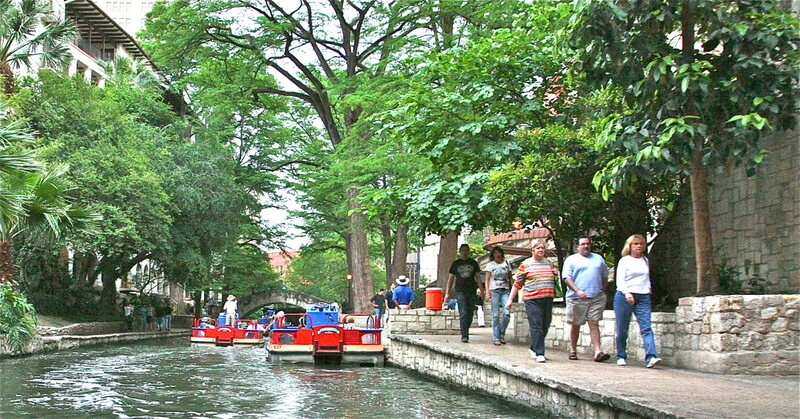 These tours are popular during the summer tourist season, so sign up early. The Boston Public Library in Copley Square is much more than just a collection of books, although if you measured it purely by its number of rare volumes, it would stand out as one of the greatest collections in the world. But the central library also houses fine art, rare prints and even interactive multimedia exhibits. So while at its heart, it is indeed just a library, that's sort of like saying Mt. Everest is just a mountain, right? You can get a free tour on Mondays at 2:30 pm, Tuesdays and Thursdays at 6:00 pm, and Fridays and Saturdays at 11:00 am. Charles Bullfinch's 1798 masterpiece sits on top of Beacon Hill and is the oldest surviving building in the area. The distinctive gold dome was first covered in copper in 1802 and eventually gilded with gold leaf in 1874. There are many rooms and chambers to see and architectural styles to admire. Free tours are conducted by staff and volunteers covering the history and architecture of the State House. They're given weekdays from 10:00 am to 4:00 pm and last approximately 30–45 minutes. This landmark building is one of the more distinctive shapes in the harbor area and used to be the tallest skyscraper in Boston. The original foundation was laid on reclaimed land, and at one time, the Boston waterfront came right up to the building. Today, the building stands back embedded among taller office buildings and busy traffic routes. The tower was added on to the foundation in 1915, and when the customs officials moved to another building, it was sold to Marriott Hotels. Free tours are available by appointment and include a trip to the 26th-floor open-air observation balcony and the Rotunda Museum. It's open 10:00 am–4:00 pm daily, except Saturdays. The Massachusetts Historical Society collects, preserves and makes available to the public manuscripts and artifacts related to the state. The society has a large collection of papers and letters from historical figures and politicians from Massachusetts. They also publish books and loan their materials to other museums and libraries. They hold numerous seminars and weekly tours, all of which are open to the public and (of course) free. 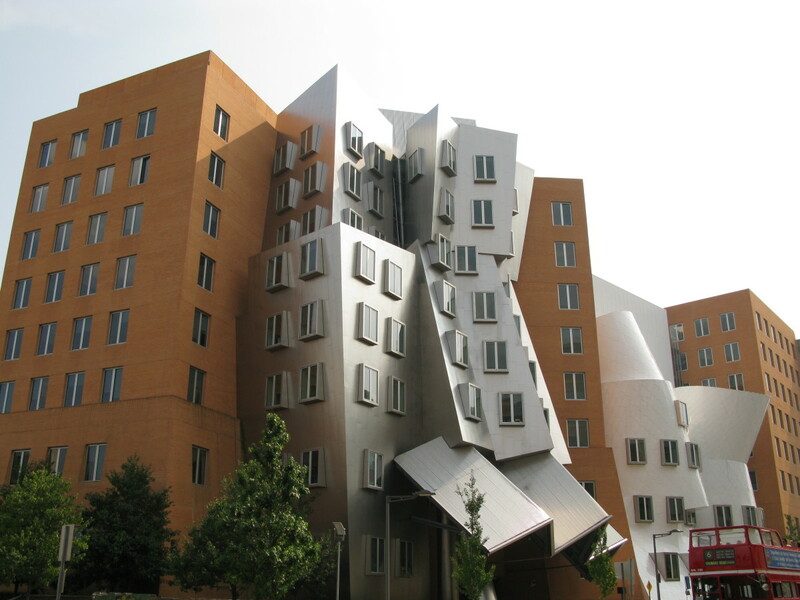 The Massachusetts Institute of Technology campus in Cambridge is spread out over a huge area and encompasses unusual architectural styles, art collections and a crazy numbering scheme for its buildings. Wait . . . let me be fair. I'm sure it makes sense to MIT students, but to the average visitor, it's a challenge. There are two ways of touring the campus: self-guided and organized. Campus tours depart from the lobby of Building 7, located at 77 Massachusetts Avenue (though this is the address of every building), and generally last 75–90 minutes. They are offered at 11:00 am and 3:00 pm Monday–Friday. You can pick up a map for a self-guided tour at the Information Center Room 7-121, which means Building 7, First Floor, Room 121. And Building 7 is located at 77 Massachusetts Avenue . . . on second thought, just ask a student for directions. I don't know about you, but every activity I do with my kids seems to empty out my wallet, and then they want to eat. So here are some things to do in Boston that not only leave your wallet intact but feed you as well, at least on Wednesdays. In the summer school vacation months, this place is better described as a "zoo" rather than an aquarium. Just kidding. But it does get mobbed with families on vacation, and it continues to be one of the most popular attractions in Boston. The New England Aquarium is also one of my favorites because I love the familiar things like the massive ocean tank with its sharks and giant turtles swimming around together, but I also enjoy the new exhibits that revolve in and out. The Aquarium is involved in whale conservation programs and conducts whale watch cruises during the season, though an extra fee is required. Free tickets for general admission are available from the Boston Public Library free ticket program. These free passes will admit up to four people from September–June and do not include admission to the IMAX Theater. Quincy Market is the place to eat at lunchtime in Boston. Don't argue. Just go there. You can book a table at your favorite Italian restaurant in the North End in the evening, but at noon, Quincy Market is where it's at. In one long building are hundreds and hundreds of food stalls ranging from . . . ah forget it, just go. But wait a minute, you say. Food is not free, right? Well, every Wednesday, Quincy Market has their International Food Festival where you can sample foods for free at stalls bearing "The Taste of Quincy Market." Sure, they're not going to feed you a heaping plate of food, but sample enough from the variety of offers, and it'll keep you going until snack time. Looking for a heavenly experience after an early dinner on a cloudless Wednesday evening? Take yourself and your family over to Boston University's Coit Observatory, where you can do a spot of stargazing through their telescopes and binoculars. This is definitely one of those "weather permitting" activities, but it is available most of the year and begins after 7:30 pm. In the spring and summer, you can come after 8:30 pm. The public stargazing lasts for about one hour. Call 617-353-2630 ahead of time to confirm the free gaze is on for the night. Boston's weather is unpredictable, after all. Bring a sweater or coat too, since it's an outdoor event. I grew up in London, where most museums were free to visit. So when I came to Boston and found I had to pay for a museum, I was a little perplexed. After all, didn't they build the museums and purchase the artifacts with donations and taxpayer's dollars? Well, I've long since understood the laws of economics and am not worried about paying for a trip to the museum. But with the drop in attendance, most museums have introduced opportunities to visit for free, though they are limited. These museums offer free hours on certain days and times. You can also participate in the public library's free ticket program. Please note the free passes from the library program require you have a valid library card from the Boston Public Library. Museum of Fine Arts: Free on Wednesday from 4:00 pm–9:45 pm. Museum of Science: The public library free-ticket program works here. Harvard University Art Museums: Free on Saturday from 10:00 am to noon (includes Fogg Museum, Arthur Sackler Museum and Busch-Reisinger Museum). Harvard Museum of Natural History: Free to Massachusetts residents on Sunday from 9:00 am to noon and Wednesdays from 3 to 5 pm (September–May). Also free to Bank of America cardholders on the first weekends of every month. Institute of Contemporary Art: Free on Thursday from 5:00 pm to 9:00 pm. Peabody Essex Museum (Salem): Free on the first Friday of the month from 5:00 pm to 8:00 pm. Commonwealth Museum (Columbia Point): Free every day. Okay, so my apologies to Dire Straits. As much as I enjoy seeing a show or concert in Boston's Theater District, there's something mesmerizing about a performer on the street or an event like the 4th of July fireworks that makes you want to get involved. The amount of work and time people contribute to practicing their performance or organizing these events which keep our spirits high and keep the fun in our hearts is staggering. Luckily, Boston has no shortage of free events to consider. Just a short "T" ride across the Charles River to Cambridge and Harvard Square, and you're planted in a different world of cafes, shops and meeting places with students and plenty of atmosphere. For no fee at all, you can browse during the day, but the fun doesn't end there. When the sun goes down, the street performers come out in force, and the shops stay open late. So browse the bookstores and gift shops, find a cafe and listen to a singer/guitarist or watch in disbelief as the magicians and jugglers do their thing. Any way you dice it, you can't beat the price. Take the red line to Harvard Square. The diversity of Boston and its heritage means there's always a parade, street festival or concert performance going on in the city most months. Then it gets too cold for me, and I look for inside stuff. The Hatch Shell is where the famous 4th of July celebrations take place with concerts and fireworks. The Shell is in an area along the Charles River known to locals as the Esplanade, which can be accessed by a footbridge from Beacon Hill. Every Friday evening from mid-June through the end of August, you can see a popular family film under the stars for no cost at the Hatch Shell. People grab a blanket, some lawn chairs and a picnic and settle in for an evening of cinema. You can even pick up a bag of popcorn (not free) from one of the many vendors catering to the audience. When you've reached saturation point on the historic trails or your recall of which museums you visited yesterday is hazy, it's time to take a break from being a tourist and seek refuge and quiet in one of Boston's parks. These playgrounds are not just for show but are recreational destinations for residents. Some are known only to the locals. In my view, these are the best free deals in town, as no matter how many times you visit, there's always a surprise lurking just around the next bend. The Emerald Necklace is a collection of six parks spread over six miles circling Boston's western neighborhoods. The parks are the Back Bay Fens, Riverway, Olmstead Park, Jamaica Park, Arnold Arboretum and Franklin Park. You can access the first park from Boylston Street near the Museum of Fine Arts. The parks include green open spaces, rivers, ponds, wildlife habitats, nature trails, shrubs, flowers, bridges and even a zoo at Franklin Park (though there is an admission fee for this). 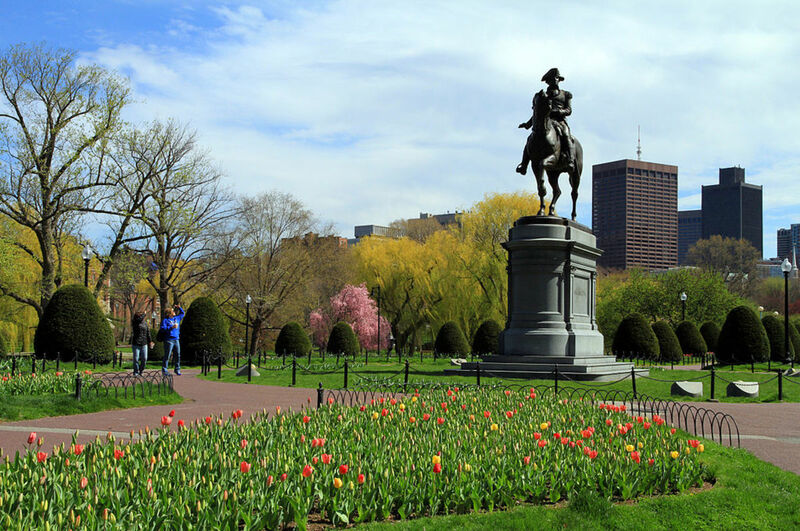 Created by Frederick Law Olmstead, these jewels of Boston are a gift of the peoples of the city and the Commonwealth of Massachusetts for all to enjoy. Boston Common is the oldest park in America and is where a colonist's sheep once grazed. 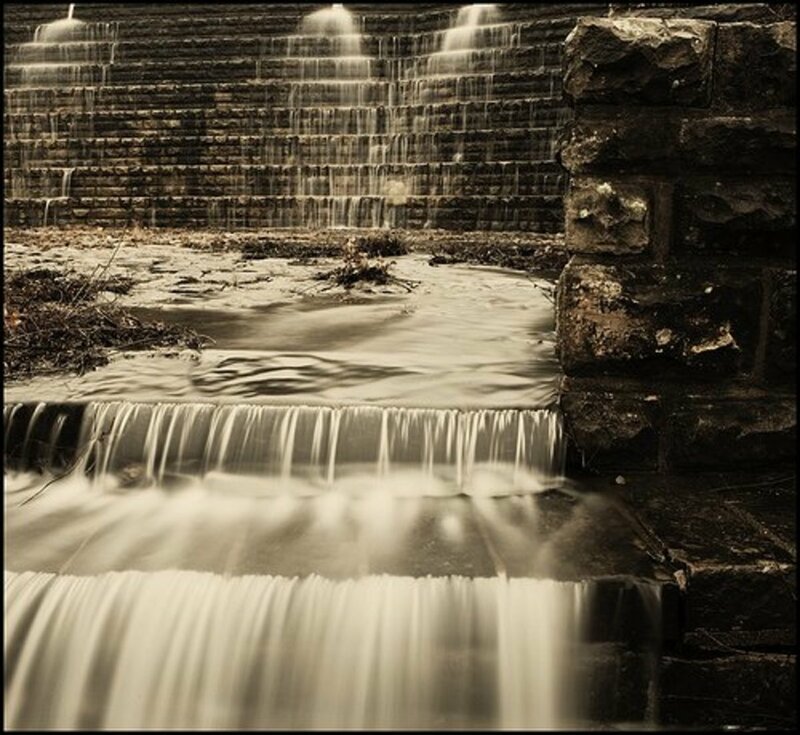 Today, Frog Pond, sculptures, free summer theater performances and park benches shaded by maples provide an oasis in the surrounding concrete and red-brick structures of Massachusetts' capital city. The Public Gardens are a short walk across Charles Street, which separates these two sections of Boston's major park. The gardens have a more formal layout, and the popular lagoon was added in 1871. The famous swan boats have been operating since 1877. The formal displays of flowers in spring and summer are splendid, but there are also plenty of deciduous trees that ensure showy fall foliage. If you're around at lunchtime, do like everyone else does: purchase something from a vendor and spread out on the grass to catch some inner-city peace. Just a 30-minute drive from the crowded waterfront attractions of downtown Boston is one of the best-kept secrets of this city, the Blue Hills Reservation. The park consists of 22 hills and 125 miles of trails covering an area of 7,000 acres. The summit of Great Blue Hill is the reservation's high point at 635 feet and has an observation tower offering views of the Boston Skyline and surrounding countryside. Use of all the trails is free. Plan A for getting around Boston is to walk. Seriously, that's my first choice, and of course, it's free. This is a small city, and just about everything here is within a reasonable walking distance of the downtown area. But realistically, there are some destinations that it's not really practical to walk to, and your legs will get tired before the end of the day unless you're training for the marathon. So when you need to take the weight off your feet, go to Plan B, which is taking the "T." This is Boston's subway system, which is the oldest in the country. (At times, it shows.) But it mostly works, and the network will get you out to all the locations mentioned in this guide as well as back to your home base. It's not difficult to figure out and navigate, but . . . it isn't free. Sorry, but you have to buy tickets to use the subway. And if you have a car? Park it in a garage and forget about it. You won't need it, and it'll be a terrible waste of your time and cause you hours of frustration trying to find your way around. 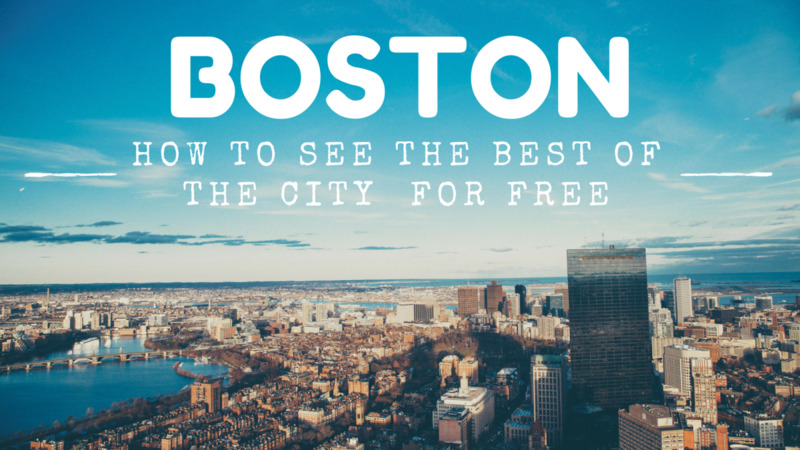 Most of all, enjoy these free things to do in Boston! Help Me Keep This Article Current! This article was started in February 2008. All the information was correct at that time, and I have done my best to update it as programs have changed over the years. Usually, people let me know by adding a comment or sending me an email. This is good, and I appreciate it. However, if you intend to make use of any of the programs, please double-check first to ensure the program is still being offered or restrictions have not been introduced which could prohibit your eligibility for a free program. I believe this to be the most complete list of free things to do in Boston you'll find on the web, and I'd like to keep adding to it as well as keep it accurate, so please keep sending in corrections. I have 2 boys, 15 and 16 years old. They want to visit Boston for a couple of days. Do you have any advice and hotel suggestions that are walkable? If you want to walk in Boston, then you'll need a hefty budget on hotels, as downtown Boston hotels are expensive. Without knowing your budget, it's difficult to answer questions on the hotel. You'll have better luck checking out Tripadvisor for hotels once you have a budget in mind. Consider staying outside Boston and taking the T subway in, as the service is good, and if you're budget conscious, you'll save a lot. If you want to be close but don't want to pay downtown Boston rates then look for hotels in the Back Bay area. Thank you for all of the great information. My husband & I are going for the first time in June and I don't want to miss anything! The only thing I still need to look up are places to get great food including fresh seafood. Great stuff! Thank you for posting. My husband and I will be visiting Boston for the first time in March! this information will help us see the sights! Any good places to eat? Loved your enticing website .. Never been to Boston but when I get there in October will just start for the freedom trail and see how I would diverse from it ... Too many good sites and it is going to be a challenge to see and get to them .. Not a walker but I better practice doing that . Thank you.We will visit Boston next year with the family. Thank you so much fir this list! I will explore it soon. I vacationed in Boston, a few years back, it was the best vacation I ever had visiting a city, there is so much history there, I highly recommend visiting there! Great list, thanks ! I went to Boston last year and I want to go back soon. One of the things I loved was the Mount Auburn Cemetery in Cambridge, it's really beautiful... and free ! :) Can't wait to try all the stuff that's on your list I haven't done yet ! However, the Bank of America Museums on Us no longer applies to the Harvard Museum of Natural History (but does to the MFA and MIT Museum!). Thank you for comment Emmett. Yes, it is my favorite city and I love to find out new things about it. Addison, You make Boston seem like the best place in the US. Glad you have a zeal for it. Addison, Don't worry, I always check before I go somewhere. I know things change over time. I think it is smart that you have the disclaimer, though. And thank you for the welcome! Hi Kathryn... welcome to Boston - most of the stuff is still around and free. But as I said in my disclaimer do check things out first if you can. Hate to disappoint you. there are 22 things here, y did u say their iz 21? Wow, this is a long and informative post! It's cool that you posted it years ago, and it is still getting views. I just moved to Boston recently, so I'll have to review this in the future when I want to see what there is to do around here. The mapparium is a great destination at the Christian Science Center. It used to be free when I was in College but might be a small fee now. It is well worth it. My husband & I are going to Boston next week and I will certainly enjoy seeing some of these places. Thanks for such an informative hub. you did a great job! I grew up just outside of Boston. It's a wonderful city. though you have already mentioned these, I love Boston Commons and Quincy Market. Also the steps at City Hall. My playground as a child, teen, and adult. every trip I make back there include all of these and of course The North End for a cannoli at Mike's Pastry! really love that town! My wife and I are planning a trip to Boston and this was extremely helpful! Thanks! Quincy Market is a must stop place whenever I visit Boston! Thanks for all of the great tips! We are a family with a tween and love to travel the world. I usually put together a list like this for every city we visit. Your very comprehensive list has saved me a lot of time & research! Great Job!!! I live here and this is a good list. I am sending it to some of my less knowledgeable Boston friends to use as a cheat sheet when their relatives and friends come to town. please recommend reasonable priced accom near fenway park,we will be there in early may 2012 for a few days.have been there many years ago. Just moved to Boston area and this list has been a great guide to helping me explore the city! The BPL also offers free admission to the Science Museum. It's located right across from the Cambridgeside Mall and is a pretty short walk from the T station. Right on the other of the T you can see Beacon Hill. It makes for an easy and fun day (for all parties involved). Informative article. I'm planning a trip to Boston soon so this saved me a lot of time on researching. Thanks! What's the best bang for the buck in attempting to get a glimpse of Boston? We have 5 daylight hours on a Monday before heading to the airport back to Texas. I am a middle school Science teacher who'll be there in mid-October with my husband (Architect) and son (high school Senior). Thanks for your input. We won't dare sleep late in the hotel! Thanks so much for this informative list! I live just outside of Boston and am always looking for free/cheap things to do with my kids there. I just wanted to add that admission to the Boston Childrens Museum is only $1.00 on Friday nights. I'm very glad to find your list. It's so timely as I'll take my family to visit Boston and Cape Cod next week. Thanks so much for taking the time to compile the list. Great information on the Boston area! Thanks for this, I am forwarding it on to some visitors to the area. Wow, I live in Boston and still had to look-up some cheap things to do today with my nephew. I love to fish and can do this for free either at Castle Island or Black Falcon, but not when it's raining as it is today! I love the fact that the Library gives free Museum and Aquarium passes! Thanks for the reminder. Great article. I just moved to Boston and can't wait to check out all of these places. Starting tomorrow! Great article. I just moved to Boston and can't wait to check out all of these places. GREAT list! I lived in Boston for 2 years (as a student, so a lot of things were free to me) and never knew about the free passes offered by the BPL - thanks for that, as I'll be taking my 3 kids to the Aquarium this afternoon courtesy of my new membership! We'll also be chacking out Quincy Market as it is Wednesday. I've bookmarked this hub and will add things as I find them! Thanks again! The new Art of the Americas wing at the MFA is awesome. Don't miss it! Perfect list. Boston is one place on my list that I definitely want to visit for an extended period of time! Thanks for this amazing hub. I have been in the Boston area for 3 years now and have visited most of the things on your list and it is right on. The Arnold Arboretum Harvard University should be added to the list. It can be accessed by the Orange Line. Wonderderful walk for spring, summer and fall. Thanks for all your helpful tips. Walking is definitely the way to explore Boston and its free. I was there last month to take my daughter to college and had the chance to explore few of the sites that was mention. I will be back and do the other places mentioned. Thanks to the people that provided recent corrections to some of the material on this site. I have updated the site to reflect these changes and added in a disclaimer on the hub for materials here for future reference. Great list, but one correction: the Harvard Museum of Natural History is free to Massachusetts residents only, Sundays 9 am to noon, and Wednesdays from 3 to 5 pm (September to May), excluding commercial groups. It's also free to Bank of America card holders on the first weekends of every month. Don't miss the world famous Glass Flowers, dinosaurs, hundreds of animals, minerals, meteorites, new exhibits Headgear, Language of Color, more. I'm planning a trip in September to see Boston and have been reviewing and researching the information you have provided. Please note that the FREE PASSES from the Library are on FREE to those that have a valid library card from the Boston Public Library. Unfortunately, tourists will not be able to enjoy the "free" side of Boston. Thank you for sharing this post. Although I have no plans of getting anywhere near Boston in the very near future, this info is surely nice to know tidbits about Boston. Definitely, there's more to Boston than the Boston Celtics! I went to the free tour you mentioned at the Boston Public Library. It was definitely worth it. Our guide was exceedingly informative, and the art and architecture are spectacular. And the price is right! The Gibson House on Commonwealth Avenue is a great museum of a house that has been kept exactly the same as it was back in the day. It's only $5, and soo worth it. I would go in the cooler months though, because since it's the same, they don't have air conditioning. I had no idea that you can get free tickets from the library! Thank you! I am a student, and cash is really tight, I look forward to it. Thank you! "Peabody Essex Museum (Salem)- Free first Friday of month 5:00pm-8:00pm" That program was discontinued about 6 years ago; I called in to check. My husband and I are visiting Boston in June, the first time for each of us. I'm glad I found this list!!! Thank you for compiling it and publishing it for the rest of us to enjoy! This is a very informative list. Thank you so much for taking the time to put this together. It was really helpful and useful for my family. It is well written and you didn't miss a thing! Nice job. Going to Boston for the first time over the 4th of July for a union convention. I'm not an experienced traveler but I've learned to Google "Things to do in..." for these trips and your site just saved me a whole lot of research time. Can't wait to share this with my daughter who is going with me so we can plan our days. Thanks so much. As a matter of fact Betty look for a new hub soon from me with a resource to another of my favorite spots in New England. Nice article. Maybe you should write some more! Congratulations on a fine and superbly researched Hub - its been a real education! Great hub! I'll use this myself although I've been living just outside Boston proper for many years. With three children, I'll take advantage of these free activities. 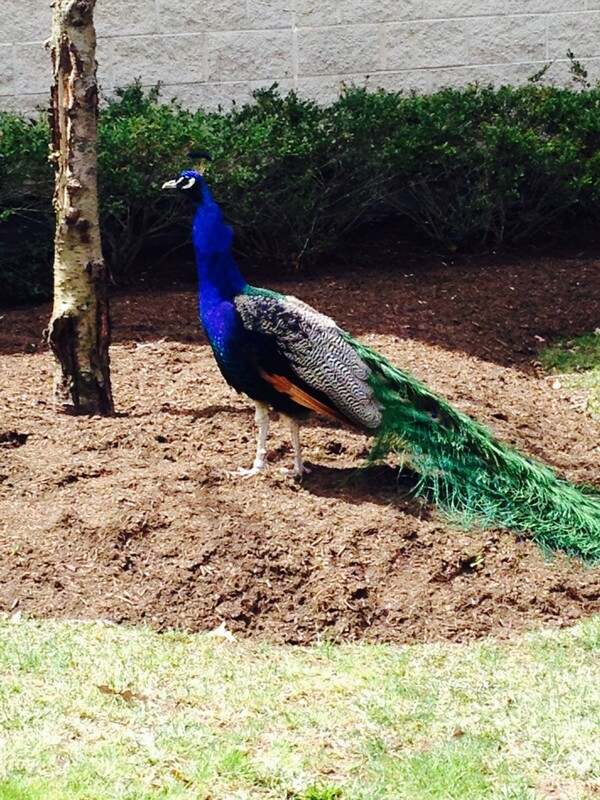 Boston is one of my favorite cities - love the parks and gardens and the history. Wait just a few weeks for it to warm up and the flowers to bloom in the Public Gardens - you know how great it looks then. I wanna go back. NOW! Thanks for the great hub. I'm homesick. Great resource on Boston - thanks for sharing. Fantastic hub, full of information. I have never been to Boston, but will use this hub as a guide if I ever do. Don't worry Jim I'm still finding stuff - free and paid - so missing places like you say is just an excuse to come back and visit again. Great hub! We obviously missed some things last time we were in Boston! Sounds like another trip is in order! Thanks for your positive comments Sarah Marie and Amy Jane. I'm glad you both found it a useful guide. Great hub! I live in Boston and even learned a couple of new things....thanks! So glad Boston's now made it onto your wish list John. It was fun writing about a city I've come to know and love and exploring again some of the places I've visited many times with my family. Now I see why everyone from Boston is so proud of their city! Great job showing the highlights. I feel like I've been given a private tour package from an expensive private guide. Glad you enjoyed it Vic. It is a wonderful city to visit - except in the winter. For three months of the year life can be a little miserable. So come and see us any other months and you'll see Boston at it's best. What can I say that hasn't already been expressed above other than to say that your delivery of the information made it just that much more enjoyable. I will definitely be adding Boston to my list of cities I want to visit during my travels. Thanks so much! Thanks for feedback - but buy the guidebook as well! Wow! That's a lot of information. I was going to buy a guidebook before my trip out to bean-town this spring, but with this hubpage, I think I'm good to go! Thanks! Wonderfully informative lens. I've never been to Boston, but it's certainly added to my list of places now. You've really covered all of the angles with your map, the videos and even the free things to do. Haven't been to Boston in years,but remember it fondly and this was not only a trip down memory lane for me but a great resource for my next visit. Thanks so much for putting it all together in such an informative, easy to read way. Thank you for your comments Black Pearl. Maybe I'm biased but I've visited a number of cities around the world and I just find Boston so approachable and not at all overwhelming. Glad that came across in my selections and writing. Excellent, very informative hub. I have been to Boston as a tourist and from work and I agree with you, the best way to take in everything in Boston is to WALK and as you noted it is free, but in many instances it is faster also. You have done a great job of covering all the areas and love the videos. An excellent page, I don't think you missad anything! Thank you Riggy - glad you liked it! Please do get there soon and visit us. Wow! This is a very informative hubber! Haven't been there yet, but hope to some day. Will definitely keep all of your suggestions, thanks!